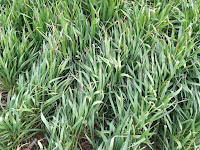 OPTIONS FOR FREEZE DAMAGED WHEAT: WHICH WILL BE MOST PROFITABLE? 1) Stay the course, harvest the wheat and then double-crop soybeans. 2) Terminate the wheat stand and plant corn. 3) Terminate the wheat stand and plant full-season soybeans. Video footage from the Wheat Field School – EMERGENCY FREEZE EVENT TRAINING is now available online. The training held on Tuesday March 21, 2017 at the UKREC in Princeton was broadcast live and recorded on Zoom. Click on the links below to view recorded sessions. for the grower to consider at this point is growth habit, which can range from completely prostrate to very upright. Most of the wheat varieties grown in KY develop at a rate that is determined by heat units accumulated, which we commonly refer to as Growing Degree Days (GDD). 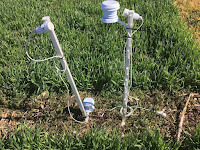 These varieties were pushed by the unusually warm temperatures we experienced in February, so that many of them had reached jointing (Feekes 6) or beyond when the severe freezes began. 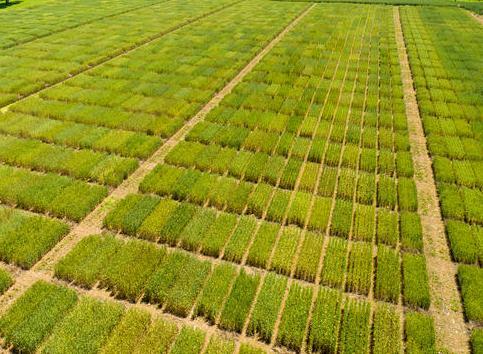 A much smaller percentage of our wheat varieties are held back by sensitivity to daylength. These daylength sensitive varieties will not joint until they reach a daylength threshold – i.e. a minimum no. of hours of daylight. Such sensitive varieties remain prostrate in their growth habit until the threshold is reached and thus the growing point remains near the soil surface and is much more protected than the growing point in an upright variety at jointing or beyond. 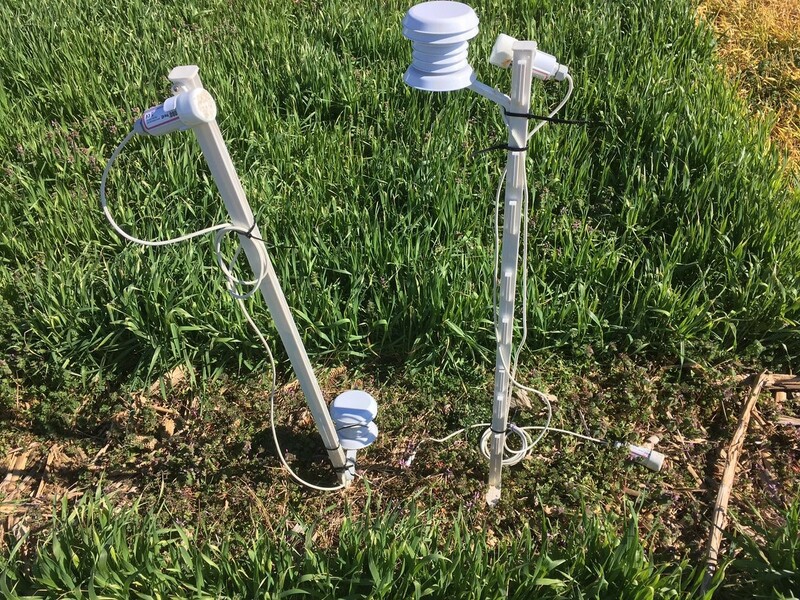 short information sessions as well as a hands-on training to assess wheat damage in the field. 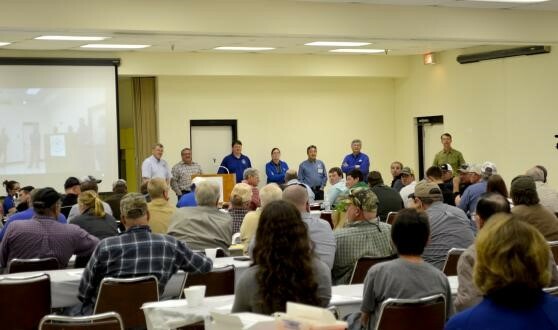 UK specialists suggest that participants attending the meeting in Princeton bring whole plant wheat samples from their farm to assess and compare to non-damaged wheat. Last night temperatures dipped below 24°F for several hours throughout Kentucky. 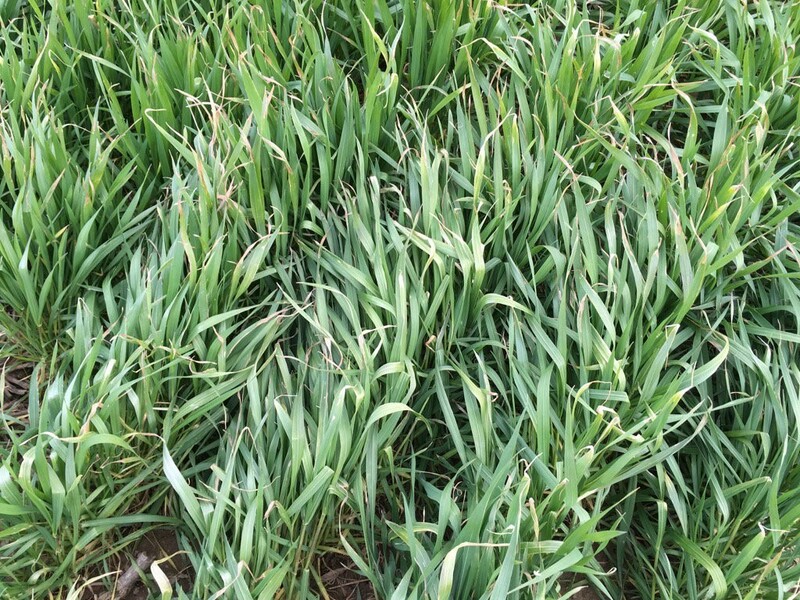 Winter wheat at the jointing (Feekes 6) growth stage, was likely damaged by these cold temperatures. 1. Wait until high temperatures are at least 40°F for 5 to 7 days. According to the projected weather forecast, most of the state will have high temperatures greater than 40°F the next 7 days. 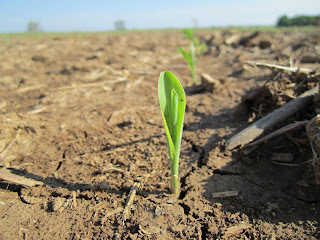 Assess freeze damage next Tuesday or Wednesday. Any earlier than the middle of next week may provide an inaccurate estimate of damage. The projected prices for Revenue Protection (RP) crop insurance is established using the December 2017 corn and November 2017 soybeans futures contracts closing prices for the month of February. 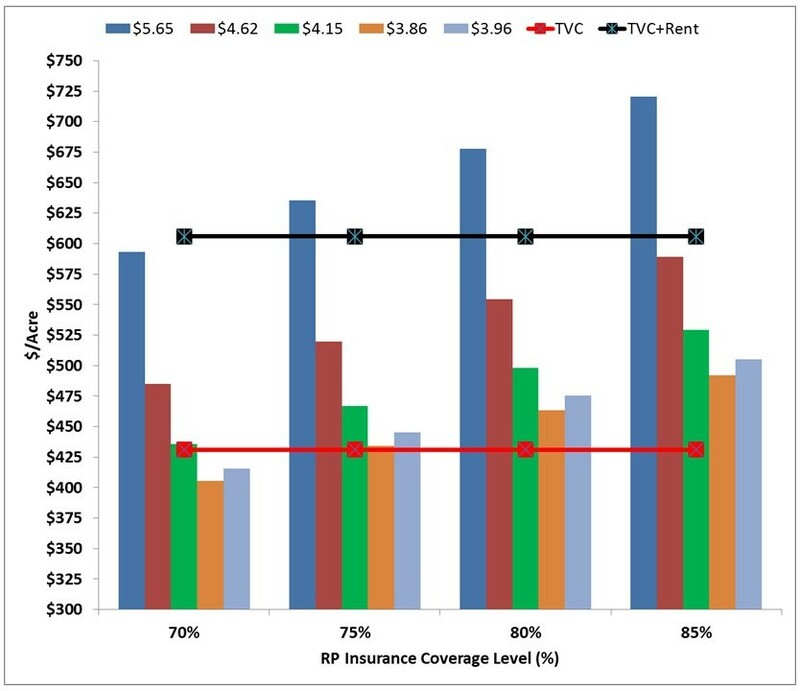 revenue guarantee provided by RP insurance for varying coverage levels are compared to the budgeted cost of production and the cost of production plus cash rent to analyze the risk protection provided by RP insurance. 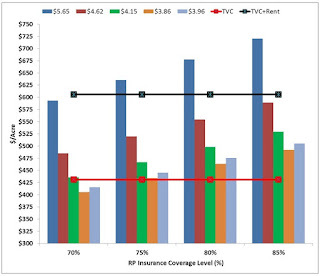 The rainbow of colored columns in Figure 1 and Figure 2 represent the RP insurance revenue guarantees provided for the 2013 (dark blue), 2014 (dark red), 2015 (green), 2016 (orange), and 2017 (light blue) crop years. The multi-year comparison illustrates how the crop insurance safety net has declined over the last five years as ending stocks for corn and soybeans have rebuilt after the 2012 drought. The red line is the 2017 budgeted per acre input costs, and the black line is the input costs plus budgeted cash rent. The corn and soybean APH yields are 150 and 55 bushels/acre, respectively, for Figure 1 and Figure 2.